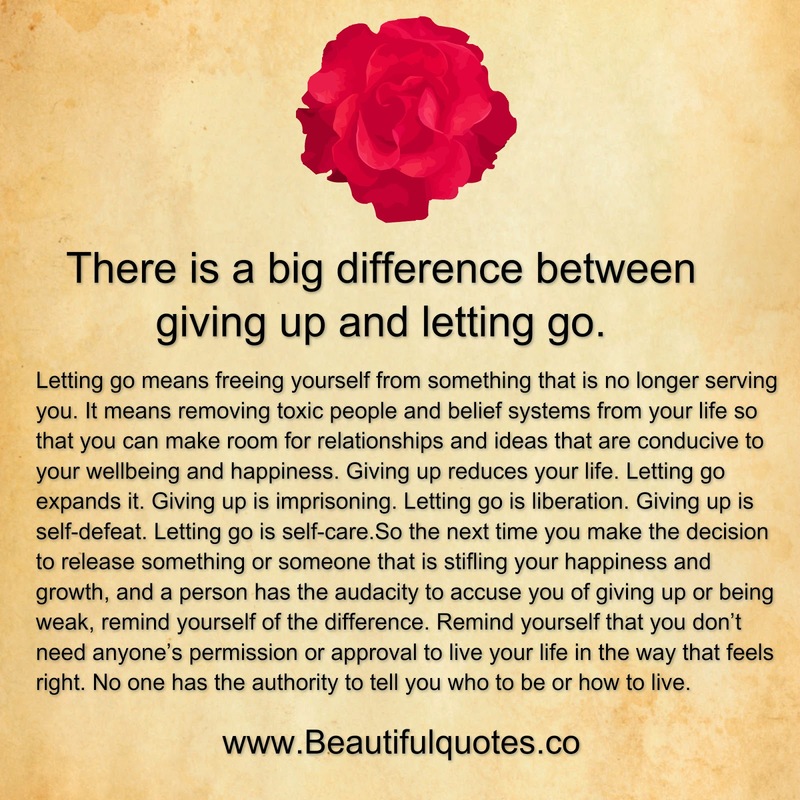 google-site-verification: google8d8438b214143f71.html Beautiful Quotes: There is a big difference between giving up and letting go. There is a big difference between giving up and letting go. Letting go means freeing yourself from something that is no longer serving you. It means removing toxic people and belief systems from your life so that you can make room for relationships and ideas that are conducive to your wellbeing and happiness. Giving up reduces your life. Letting go expands it. Giving up is imprisoning. Letting go is liberation. Giving up is self-defeat. Letting go is self-care.So the next time you make the decision to release something or someone that is stifling your happiness and growth, and a person has the audacity to accuse you of giving up or being weak, remind yourself of the difference. Remind yourself that you don’t need anyone’s permission or approval to live your life in the way that feels right. No one has the authority to tell you who to be or how to live.